Horace John Foley was born at Mudgee, NSW, in 1901, the son of James Foley and his wife Margaret M, née English. On 23 November 1932 at Rockdale, Sydney, he married Sarah Agnes M Farmer. He died in July 1989, aged 88, survived by his wife and four children. Horace Foley moved to Sydney in 1919 to study at Sydney University where he captained the university’s rugby team. He graduated as a Bachelor of Medicine and Master of Surgery in 1926 and practised at 202 Glebe Road from 1933 to 1979. He was honoured with certificates for his services to the Sydney Homeopathic Hospital. In 1964, a park on the corner of Bridge and Glebe Point Roads was renamed Dr H Foley Park after him. As a doctor, Foley was well known for giving free medical help to the residents of Glebe during the Depression. As a politician, in return, he expected the loyalty of his constituents. He encouraged junior sports and the arts and promoted building parks, roads and facilities for the aged. He helped found Wheels on Meals in the Glebe area and was instrumental in building the University Park swimming pool. By the 1950s he was a fervent anti-communist, was a founding shareholder in the Catholic radio station 2SM and was a member of the board of the Catholic Club. 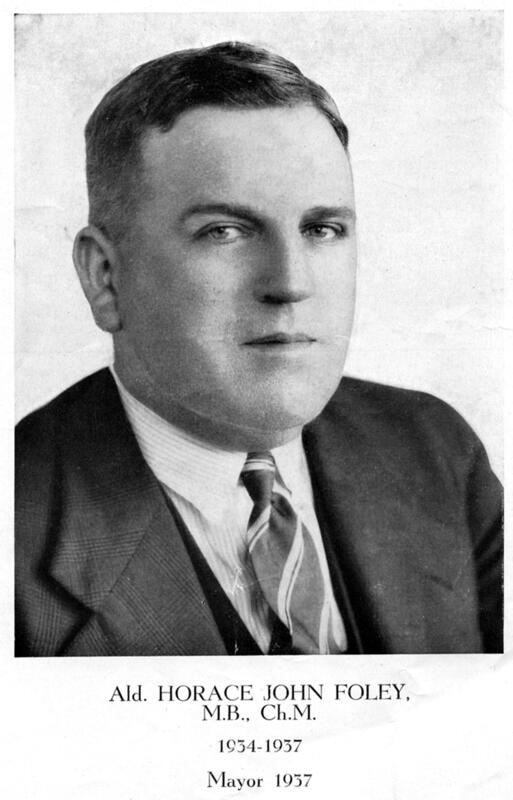 Foley was an Alderman on Glebe Council from 1934 to 1939 and was Mayor of Glebe in 1937 and 1938. He was elected Alderman for Phillip Ward, 5 May 1945 to 31 December 1948 and for Glebe Ward, 4 December 1948 to 19 June 1950 when he resigned. He stood for Council again in 1953, representing City Ward from 5 December 1953 to 30 November 1956. He was a member of the Finance Committee, 1945-50, the City Planning and Improvements Committee, 1945-48, the Health and Recreations Committee, 1948-50 and 1954-56 and the Works Committee, 1954-56. In 1957, after a flirtation with the breakaway Lang Labor Party, he assumed control of Labor in the Glebe North branch until his retirement in 1979. 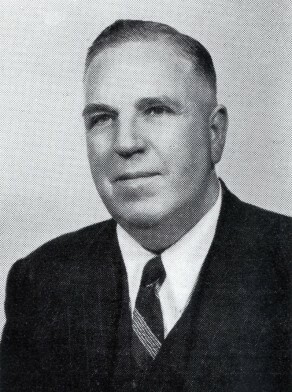 Foley had also served as a Leichardt councillor from 1968 to 1971.